The new Cortina Common is more than a hip bicycle. It is a lightweight transportation concept, equipped with the innovative Atran Velo System (AVS). 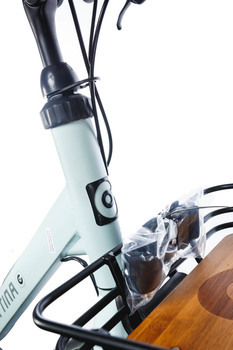 This system enables you, to simply click bike accessories to the front or rear rack. 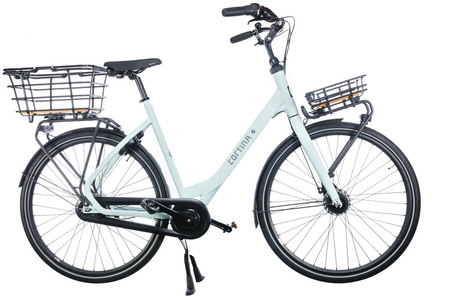 The Common is a very attractive shopping bike at a reasonable price. We particularly like the integrated cabling. 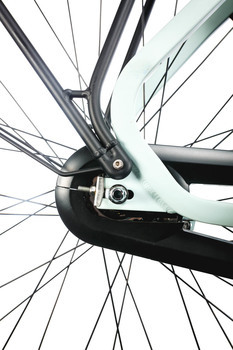 Another good idea is the fact that the handlebars can be secured during loading so that the bike doesn’t topple over.